Let me quickly tell you. 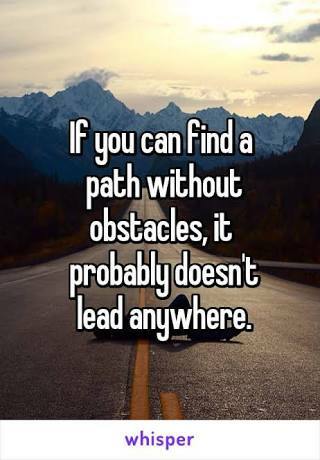 I wish you quickly understand that any path without obstacles do not lead to your desired destination. Don’t think the journey of life will be smooth, but what I know is that “no matter what, you shall get to your promised land safely.